Well, maybe everyday is now a “day-off” but today was planned that way as a road trip away from home. Not all excursions need a finite purpose, for example last Saturday I followed the front of the car around Vermont. My planned destination was west into Vermont, but I ended roaming from Chester to Weston, then Manchester down to Arlington and East Arlington, North Bennington, Bennington then through Wilmington to Brattleboro. Scouting for props for our upcoming play was my excuse, but whenever I head out I am looking for books. Only found one worth buying, but once it sells my gas and meals for the day are paid for. to one level since I now spend much more time “working” in the kitchen and thus can spread papers out. 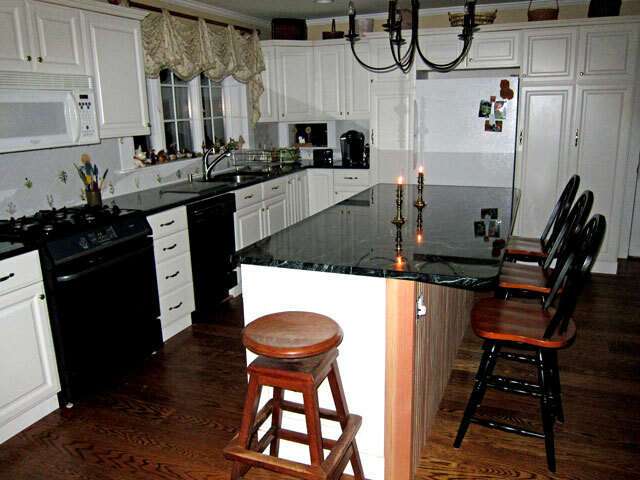 On the way to The Red Lion Inn last month I found the counter stools I wanted in Holyoke, Massachusetts, but they were short a few, thus this trip was to pick up what they ordered in for me. 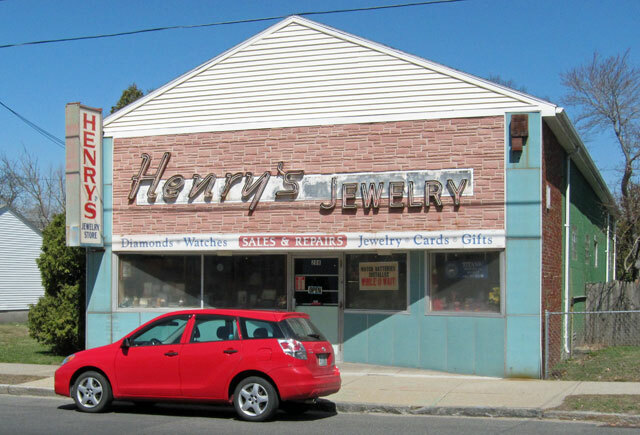 Now, Holyoke is just north of Springfield, home of the Springfield Armory National Park which was “on my list.” Sadly, in fact, I had never been in Springfield except cruising by on I-91, so this became the perfect opportunity to visit. 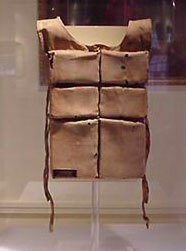 reading all the displays) but I was disappointed to learn that the most significant artifacts (Mrs. Astor’s lifejacket, a deck chair, etc) were away on loan at two new TITANTIC museums in honky-tonk areas – Bronson, Missouri and Pigeon Forge, Tennessee. I may want to visit one of these someday, but I did get to the TITANIC museum in Belfast last year, and have also been to important Titanic sites including Southampton, Cobh (or Queenstown) and Halifax. the main armory building where the National Park Site is located along the commandant’s home built in the 1850s. A small museum, half of which is displaying arms (not my interest) and the other half gave me an insight to the history of the industrial development and importance of Springfield and the water power of the Connecticut River. 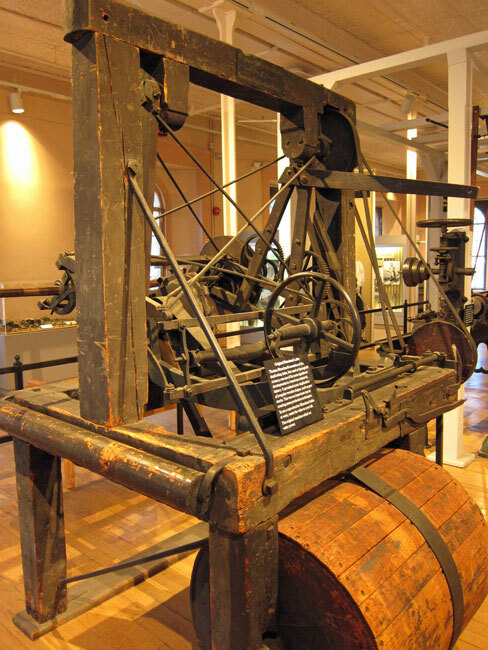 Some fascinating machinery was on display, and one exhibit helped me understand Shays’ Rebellion of 1787. I enjoyed my time there, checked it off my list, but do not have to return. Not sure what to do next I went down the hill to downtown, circled the museum area and business district. Now, if you ever pass Springfield on I-91 do get off and explore!!! The commercial and residential architecture is fabulous, well maintained, and I will probably return to “do” the museums and tour the streets with my camera. How can you not stop? 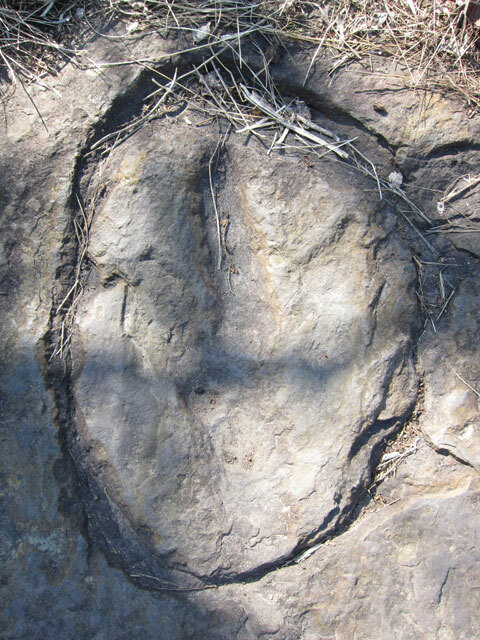 DINOSAUR FOOTPRINTS – now that deserves a U-Turn and hike down to the Connecticut River. Then I did some antiquing in Northampton, but sadly no treasures to load into the van. I still had time before the dreaded 5PM closing hour to get to an antique center north of Yankee Candle, and bought enough books to cover gas money. A fun walk around Yankee Candle followed before heading to my planned dinner stop at the Deerfield Inn. My first detour to Old Deerfield was in the pouring rain in the summer of 1963 – the top was up and side-curtains on Belzebuth – my 1929 Model A Ford Roadster. I-91 was not yet completed, so my 21 inch tires rolled the back roads on this trip up the Pioneer Valley towards Chester, Vermont and eventually into the White Mountains – is there a pattern to my life? (sadly, I never discovered Walpole 50 years ago). Since that day I always detour through the village. I love the gift shop and buy books there, but have never toured the museum buildings nor stayed at the Inn. This time I planned dinner at the Inn – a long overdue stop. And it was a special and exceptional treat that will be repeated. I did not know that the floods of Irene had closed the Inn for 18 months and that it had only reopened on Monday. Nancy greeted me at Champney’s Restaurant and Tavern (I later learned that the formal dining room will reopen soon). Then I was warmly greeted by the Innkeeper, Jane, who shared some photographs and history with me (I always carry a sport coat when planning fine dining – I feel better, and it does set you apart). Once seated, I found the wait staff exceptional. Having studied the menu on-line I ordered and savored the Deerfield Farm Burger, and thoroughly enjoyed the ambience for over an hour with a locally brewed beer. From now on, dinner at The Deerfield Inn will be on my menu even though only 50 minutes from home (hint to friends – easy dinner road-trip). 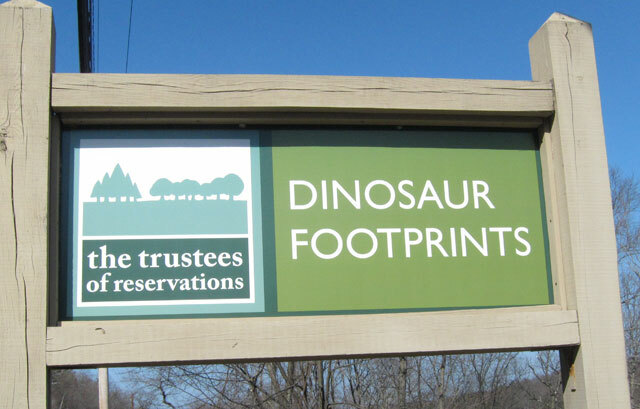 This entry was posted in Day (or maybe two) Trips and tagged Champney's Restaurant and Tavern, Dinosaur footprint, I-91, Old Deerfield Village Massachusetts. 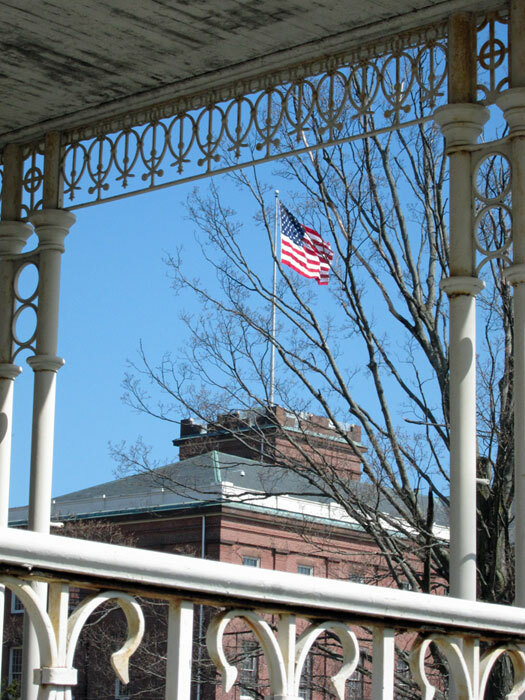 Deerfield Inn, Springfield Armory National Park, Springfield Massachusetts, Titanic Museum. Bookmark the permalink. 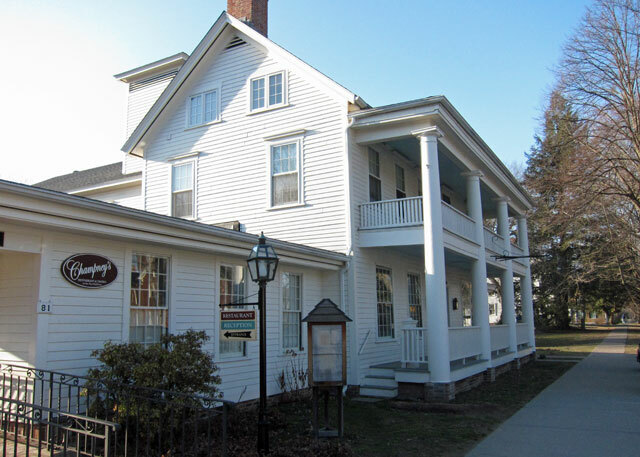 Do you have a table reserved for us at the Deerfield Inn next time we visit? Hi Ray. Was getting concerned as we were not hearing from you. How is the foot doing? Apparently okay since you are out hiking around. Great day trip and sounds like a wonderful meal at the Deerfield Inn. I was very impressed with Champney’s website. They use all local farm products. PLEASE do more day trips and love your new kitchen counters.